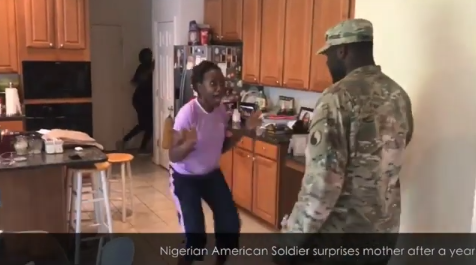 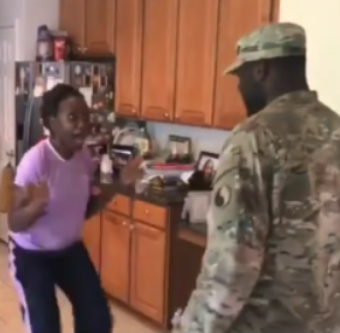 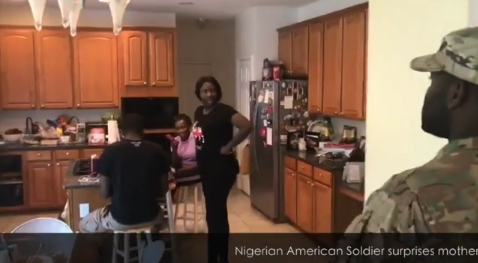 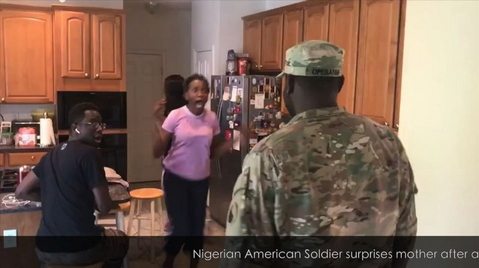 A Nigerian American Soldier who has been on a year assignment abroad, serving the US Millitary, surprised his mum by coming home without prior notice. 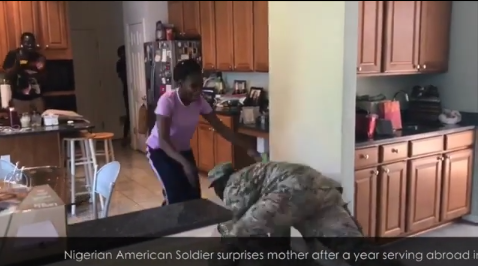 In the touching video posted on social media, the soldier can be seen prostrating to greet his mum. 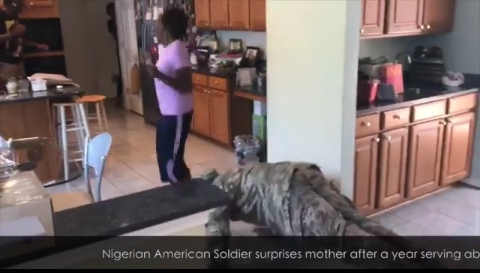 The extremely elated mum who couldn't contain her joy later pulled him up and started to pray for him. 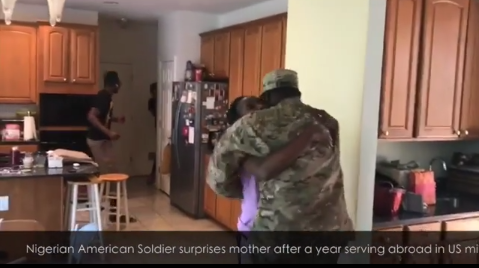 See more photos and the video below.